DROC members have certainly been enjoying themselves at this year’s Sprint Into Spring series! After four races, several club members are in line to win the highly prized Jerseys. Helen has been flying up the hills on the Mo Women course, and holds the Polkadot Jersey. Wayne and Sarah are keeping it in the family as they also hold Polkadot Jerseys, as best hill climbers on the Sally Men and Sally Women course. Amber has captured the Green Jersey as the best female sprinter on Sally Women, and Sammy also has her hands on a Green Jersey, for Usain Women. Other noteworthy performances have come from Prez Pete with a dazzling 5th place in Race 4 on Mo Men, among the toughest of opposition. Helen has also been showing the pack a clean pair of heels with a second and third place on the Green Jersey legs, and is in the running for a podium finish at the end of the series. Ian scored a win and a third in the Sally Men, while Sarah L claimed a second place in Race 3 on Sally Women, and is in contention for an overall place in both Yellow and Green Jersey competitions. Amber had a breakthrough win in Race 3, while Sarah D placed in Races 1 and 4 (after planning courses for Race 2). Wayne, James and Eric have both featured in the top three on the Green Jersey leg and on the Polkadot Jersey leg on Sally Men, proving themselves versatile all rounders. Sammy is poised to claim third overall on Usain Women. There are three more races, with the Jerseys to be determined in Ballarat over two races on November 24. This will be followed by the Victorian Sprint Champs on Sunday November 25, where we are sure DROC will achieve even more glory! See our GALLERY for some great photos of DROC in action at Sprint Into Spring. 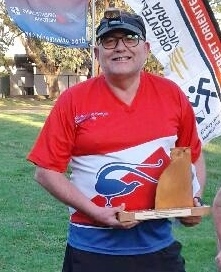 The indefatigable Stuart McWillam has won his second MEFTY award (Most Events for the Year) and will hold the coveted trophy for another 12 months. We thought Stuart set the bar high last year – this time around, he completed an incredible 180 out of 186 events! 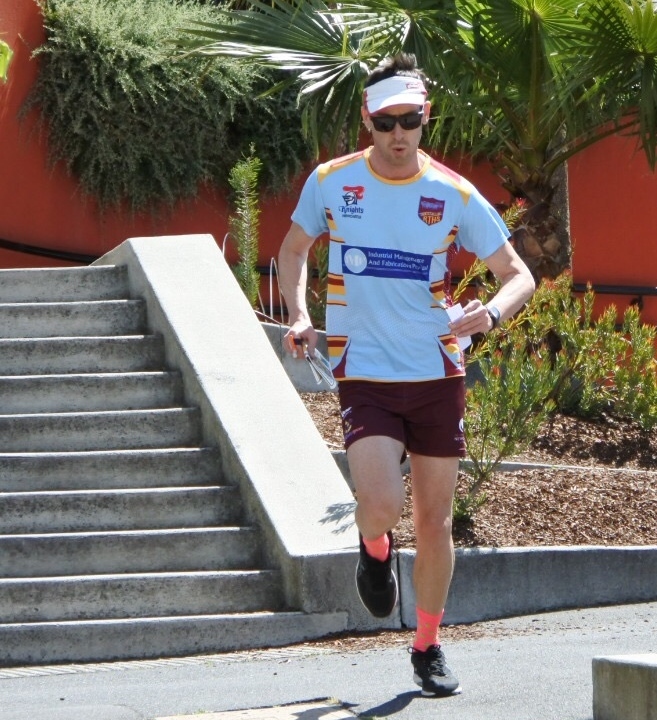 Even more remarkably, Stuart travels from Werribee, and has clocked up thousands of kms in his quest. Recently he switched to train and bike travel, and shows no signs of stopping! A strong contingent of 16 DROC members headed to Chewton for the Victorian Long Distance Championships today and upon arrival were greeted with what could be described as a boutique arena, located on a small rural property, with just enough open grassed area to accommodate 200 people, club tents, registration and vehicle parking. A sign at registration directed competitors precisely 123m to the start area, and the finish was located beside the arena. All things considered, a very well planned arena. The terrain was steep-ish spur gully with a number of tracks and areas of rock. Care was needed on some areas of the map with fallen timber and difficult-to-spot rocks underfoot, although the terrain was relatively fast. DROC had some great performances resulting in many podium appearances. First place getters were Ryan Davies (EOD11), Sarah Love (Short Open B) and Sarah Davies (W17-20A); second place getters were Wayne Love (M45AS), Martin Steer (M50A), Simon Rouse (M40A) and Janine Steer (W50A); and Asha Steer finished in 3rd place in a highly credentialed W21E class. Well done everyone! 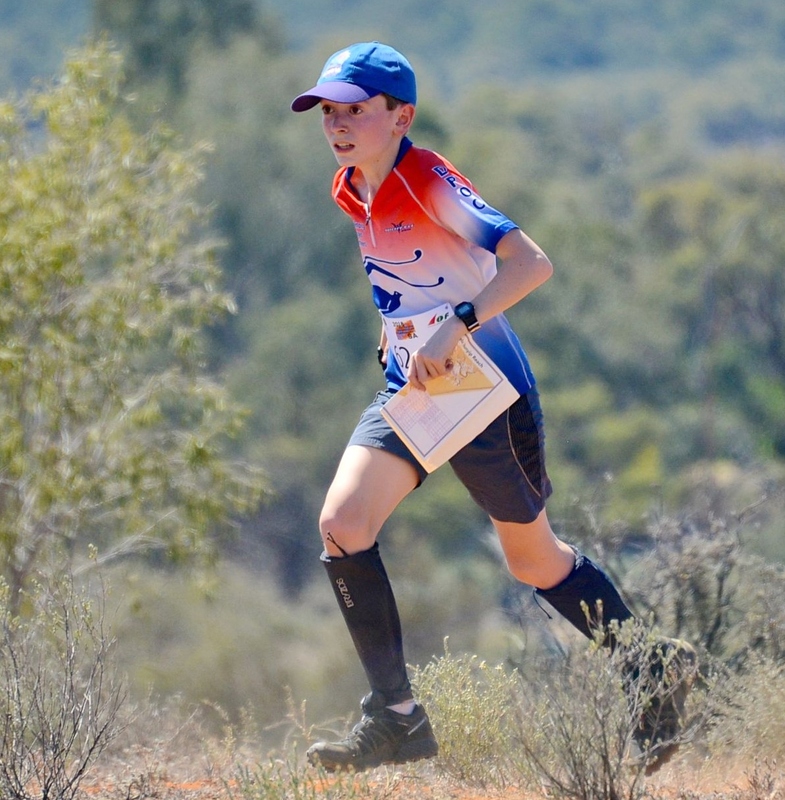 Asha Steer was one of the few Victorians, and only DROC member, who took the trip up to sunny Queensland for the National Orienteering League NOL weekend on 8-9 September. 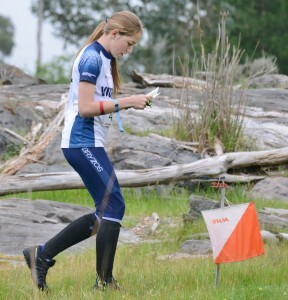 Saturday’s event was the Queensland Middle Distance Championship and Asha had a clear win by four minutes to take out the W20E (Women’s 17-20yo Elite) class. Asha backed this up strongly on Sunday in the year’s one and only Ultralong event (length approx. 50% longer than standard long distance) with a hard fought 90 second win over several circling Queensland competitors. Well done Asha! If it was raining and hailing in Melbourne on Sunday morning, one could only imagine what diabolical weather would be in store for the 16 DROC members who headed to Tarilta Creek (near Daylesford) to compete in event 2 of the Victorian Spring Series. Some drivers reported encountering thick snow during their drive to the event! However, once 10am came around it was rather cold – yes – but there was some sunshine and virtually no rain for the remainder of the day. Making things even better was the brilliant terrain. The forest was very runnable with many of the treed areas also covered by soft green grass. The terrain was still complex enough to provide a good navigational challenge with many gullies, hilltops and some rock features close together, making parallel gully errors and “rock confusion” very easy. At a 1:10,000 scale, feedback was that the map was very clear and legible and that the course setter (Patrick Jaffe) set some great courses. There were some excellent DROC performances with juniors Amber Louw (2nd in course W5), James Love (6th course M4), Sammy Love (going out by herself – 4th in a hotly contested course W8) and Sarah Davies (7th course W4) all doing well and gaining some valuable practice ahead of the Australian Championships next month. Simon Rouse had a solid run to take out course M2, whilst other stalwarts Peter Dalwood (3rd course M4), Janine Steer (3rd course W3) finished near the top of their classes. Well done to all. Lanita and Asha Steer were selected as part of the Australian team for the World University Orienteering Champs in Finland. It was a big program, with a Sprint, Sprint Relay, Middle, Long, and Relay. This was a one-off for Lanita, as she is no longer eligible. 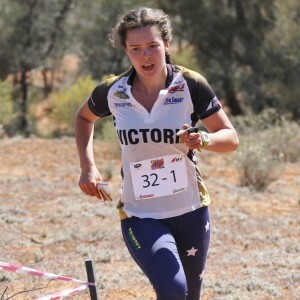 She made the most of it with a red-hot run in the Middle Distance, finishing 31st in a field of 90 of the world’s fastest female orienteers! Lanita worked her way up from 50th over the first few legs, improving her position with every leg. Both girls have had a great time in Europe, but are happy to be back home, and gearing up for the Aus Champs in SA. 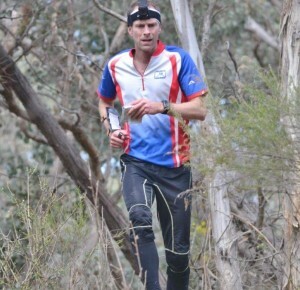 Peter and Pam headed to Denmark to compete in the World Masters Orienteering Champs. Peter’s category, M70, “only” had 400 competitors(! ), while Pam “only” had to contend with 240 in W65! 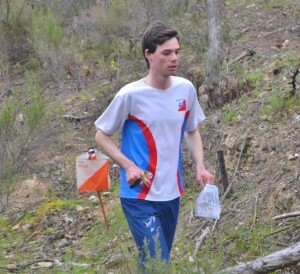 Peter was unlucky to miss a place in the A Final, after finishing 30th in his qualifying heat, of 78 competitors. Peter finished well inside the top half, overall, which was good enough to earn him a spot in the B final. Pam also qualified in the B final. The Finals were held around Christiansborg Palace in the centre of Denmark. After a sizzling run, he remained in first place until the 41st finisher crossed the line. He ended up 11th out of 80, just 56 seconds behind the winner – a great effort in amongst all those Scandinavians, and ranking him in the top 25% in the world! Pam also had a great Final, improving her placing significantly, and finishing mid field overall.